Not turning the lights on properly in the gallery for the first 10 minutes gives an ambience of mystery and excitement, as well as allowing you to make a dramatic showcase of the before and after effects of recent in-case lighting installation. 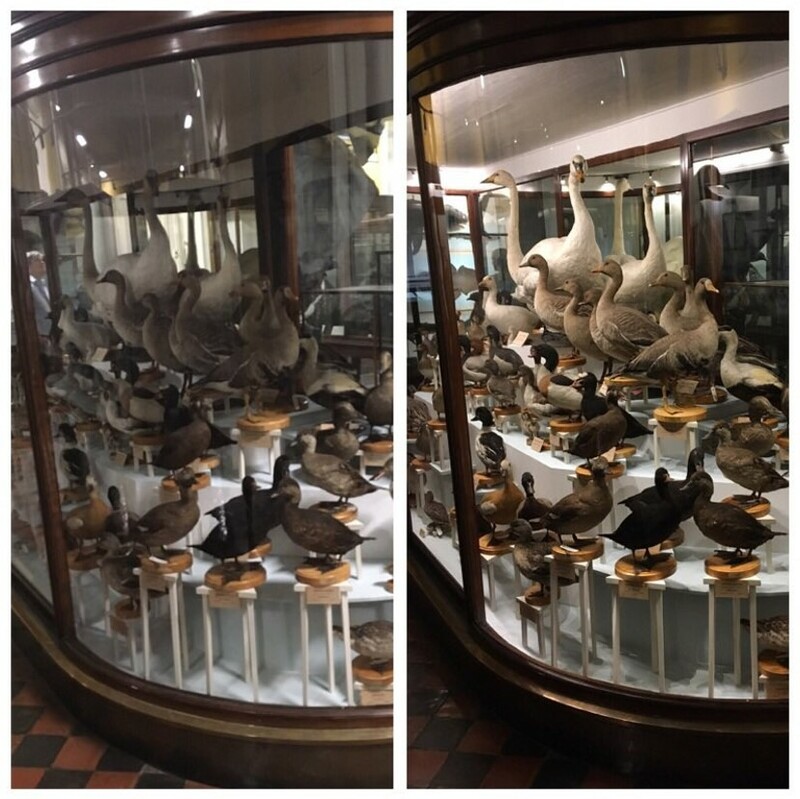 Lighting within a case draws the eye to the specimen/s within and can be used to great effect when trying to highlight particular elements of a diorama or multi-faceted display case. The need for a little lighting in a dark exhibit is unequivocal based on this case study. Image courtesy of Isla Gladstone. We tentatively tip-toed our way up the now-extremely-sound-stone-staircase, who’s predecessor had collapsed 10 years prior with a bunch of people on a similar tour to ours on it, and entered the first floor gallery. 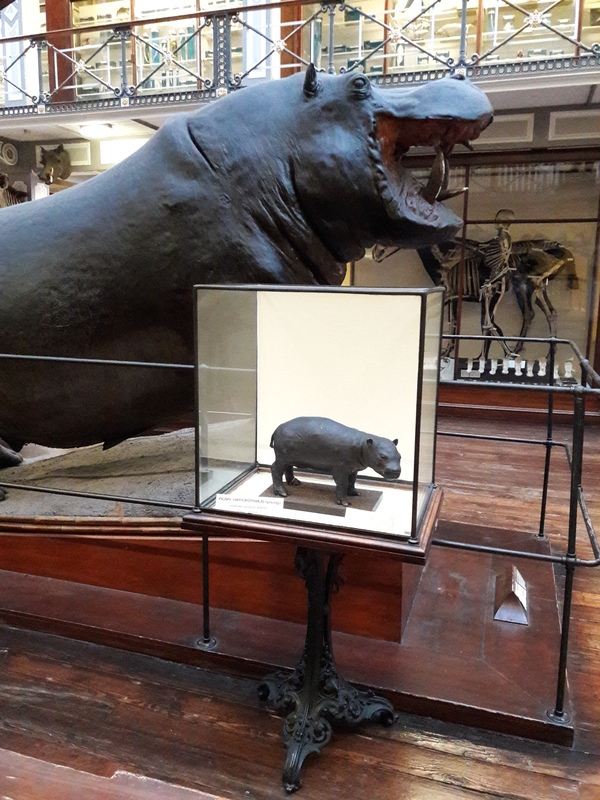 A polar bear shot by McClintock on the Arctic quest to uncover what happened to the legendary Franklin expedition, a baby pygmy hippo, and no less than three species of rhino greeted us, and we swooned over the historic taxidermy and atmospheric building. The greater one horned rhino skeleton showed that it had not only survived and recovered from being shot through the scapula, but had also suffered from some manner of disease in its life, indicated by thick, knobbly, bone growth in patches all over the skull and mandible. Ouch. A baby pygmy hippo next to a full grown non-pygmy hippo. So small! Venturing up tiny winding staircases to the balconies above, not open to the public, was on the verge of being too exciting for someone who is, let’s say, uncomfortable with heights. But the collection of intricate blaschka models, my particular favourite- a Brazilian white-kneed tarantula (Acanthoscurria geniculata) clutching its giant** avian prey, and of course the view of the gallery below, was worth the pounding heart and sweaty palms. 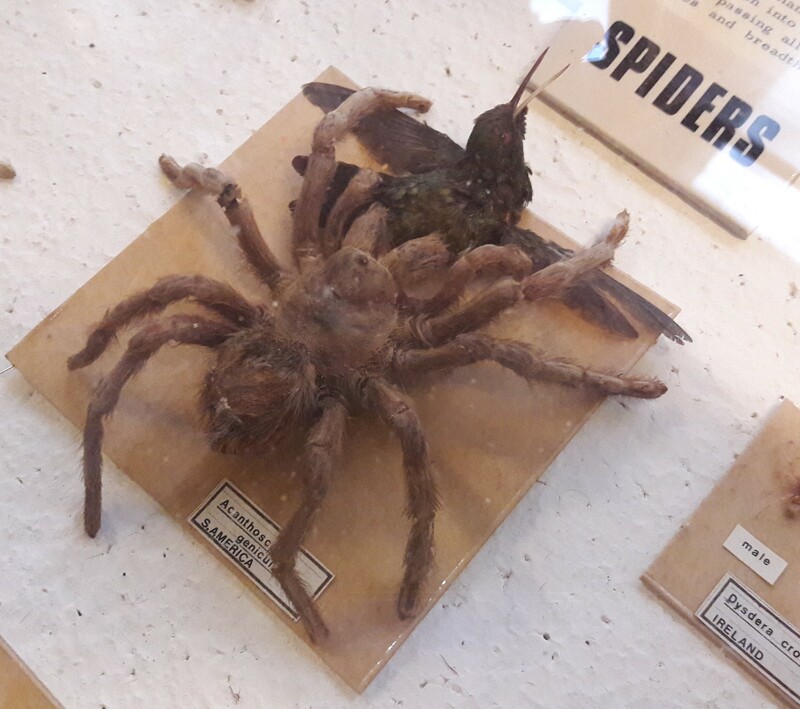 A Brazilian white-kneed tarantula can prey on birds and mammals the same size as its body. The new Collections Resource Centre, belonging to the National Museum of Ireland, is something most museums will only ever be able to dream about. Being told the footprint of the building is the size of two football fields immediately led to discussions on the range of noisy things you could get up to at one end, and not get caught, if the nearest people in the building were working at the other. Paolo Viscardi (Curator of Zoology at National Museum of Ireland, and Chair of our very own NatSCA) kicked off the afternoon with a talk on pests in geological collections; including strippers, borers and gnawers. The CRC’s registrar, Judith Finlay, also gave a presentation, about museum documentation. 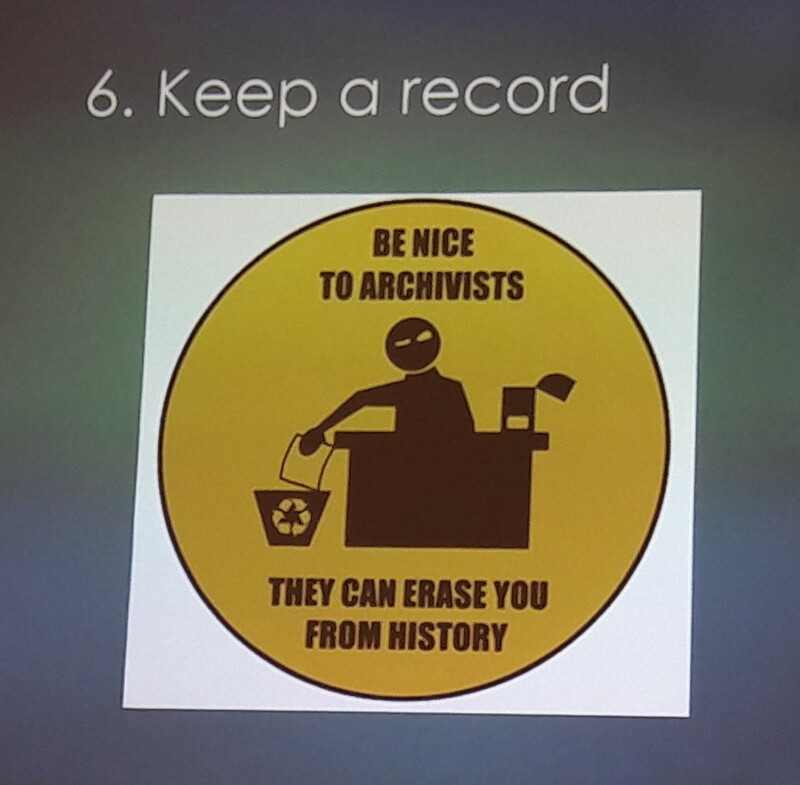 This amusing talk focused on the dos and don’ts, including why you should always be nice to documentation staff… her most compelling reason being they can erase you from history. A pretty scary thought. Documentation staff can erase you if they wish. Always be nice to documentation staff. 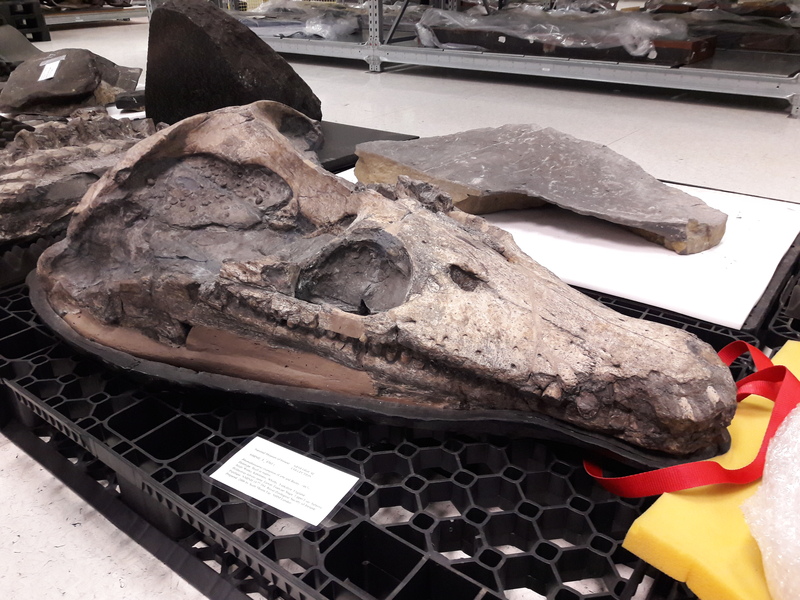 Having looked around the natural history collections; including entomology, the birds store, and a number of impressive mammal taxidermy specimens, we made our way to the fossil collections. Laid out before us, with a mystical golden aura surrounding it and a faint sound of a choir floating through the rafters, was the holotype of Rhomaleosaurus cramptoni. Found in Whitby, Yorkshire, this specimen was named back in 1863 and is an incredibly detailed specimen. Being that close to the holotype of such a creature of awe will never not be exciting, no matter how long you’ve been a palaeontologist. The business end of the holotype of Rhomaleosaurus cramptoni. The conference was a huge success, both in terms of specialist knowledge exchanges from the presentations, and in reaffirming the schoolchild level excitement for our field in every geologist and palaeontologist in the room during the behind the scene tours. Getting to poke around another institution’s collections is extremely interesting and always inspiring, and conferences are often a great way to do that. 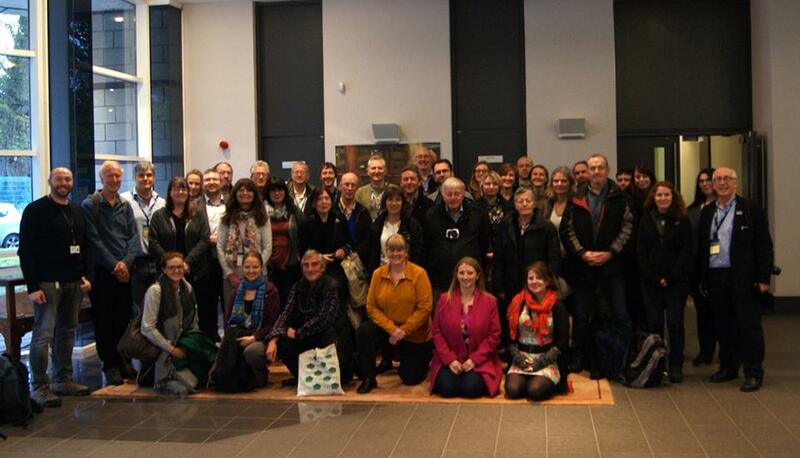 Thank you to Matthew Parkes, Nigel Monaghan, and all at both the Geological Curators’ Group and the National Museum of Ireland who was involved in making the 44th Annual Conference and AGM of the GCG such a super one.